Welcome to week 10 of the series!!! This week I completely took my hair all the way down, detangled, shampooed, conditioned, etc. For the past two weeks my hair has been braided up (which I think I enjoyed way too much) so I made sure to take extra good care of it this week. You always want to show your hair lots of TLC because when you show it love, it loves you right back! When you neglect your hair, it neglects you so treat your hair right! Yes! Wearing wigs CAN help your hair grow! 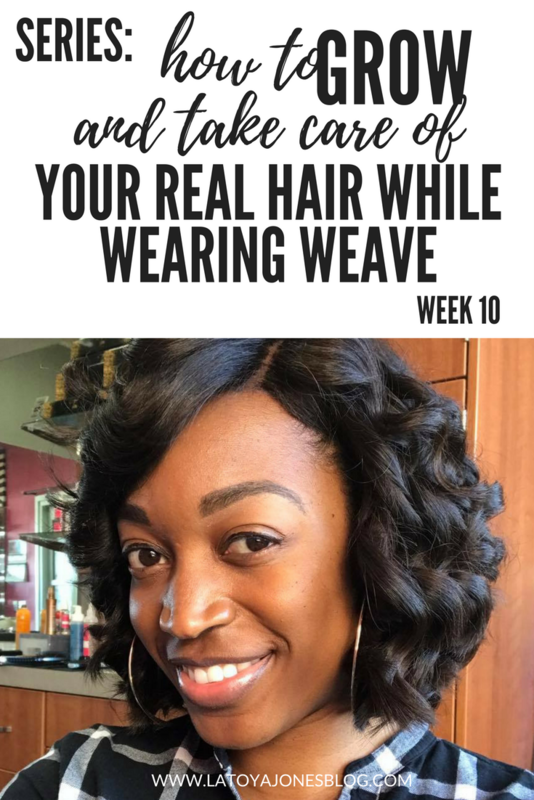 This week I started by taking my braids completely down (see video below) and combing all the way through my hair from root to tip. Remember, your hair sheds daily whether it is braided or not, so when you take braids down it is important to comb all of that hair that was shedding completely out. Otherwise it will knot up on you and become a tangled, matted mess that you want no parts of. And the longer your hair is braided, the more hair it will look like is coming out but do not be alarmed! This is completely normal. Don't be afraid to wear a wig, they can help your hair grow! I love starting off with the Extreme Clean shampoo because everything that I put in my hair for the past two weeks will be removed with the Extreme Clean shampoo. Any dirt, any oils, any product residue, and anything from the environment (like smoke, or food smells (aka bbq) that magically made its way to may hair is taken care of with the Extreme Clean Shampoo. In my professional opinion, your hair grows faster when your scalp is clean which is why I always have this in my line up. The Extreme Moisture shampoo allows you to start building the moisture back into your hair with the help of lots of silk and other moisturizing agents. Next, the Replenishing Conditioner adds even more moisture and softens the hair up which gives it that body and bounce that we all want in our hair. Lastly, I added the Leave-In Conditioner which serves three purposes. It detangles, adds moisture, and has a heat protectant agent inside. I love this because it is lightweight and will not weigh the hair down which allows me to be very generous with it and not lose any body in my hair. After I blow dried my hair, I went and had someone braid it up for me. Then I came back home and oiled my scalp really well. Aim for oiling your scalp at least three times per week to prevent dryness and flaking.